Our entry way is almost complete. We are just waiting on our wire baskets. 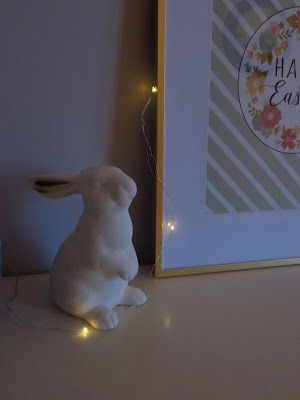 Over the weekend I put up our Easter decorations and thought I would give you a sneak peek. When you enter our front door the entry table is the first thing you see. We have our every day items such as our key bowl, Scentsy and picture frame. I like to add a few pieces to decorate for the current season or holiday. 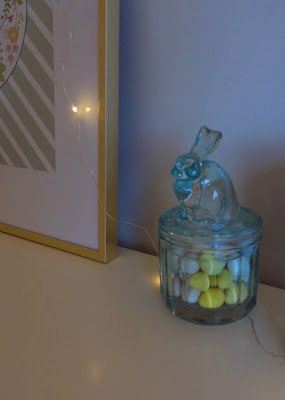 For Easter I added a ceramic bunny, light blue candy jar and Easter print. 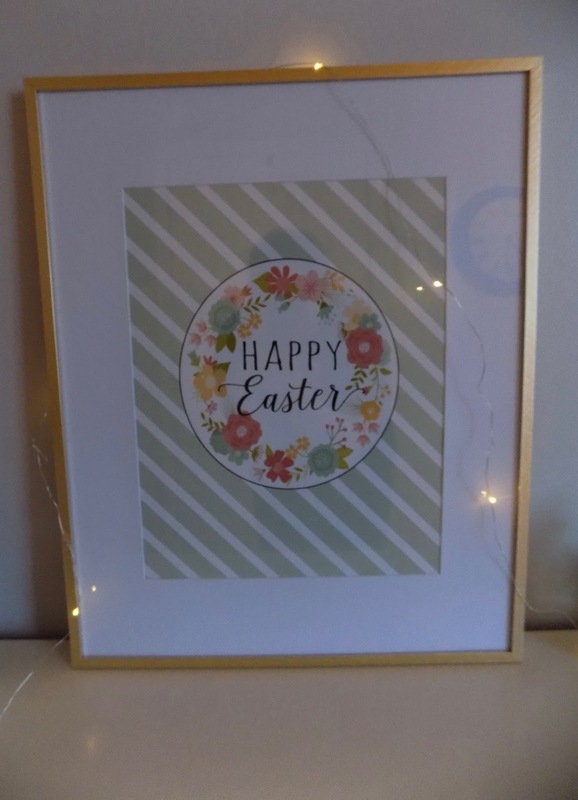 I bought this gold frame from Target with a gift card I received for my birthday. The print is from Eighteen25. The ceramic bunny is also from Target. The inner ear has gold detail that ties it in with the gold frame. This clear bunny jar is from the Target value section. I have a problem okay? I loved the light blue color for spring and added some mini Cadbury eggs for even more color. 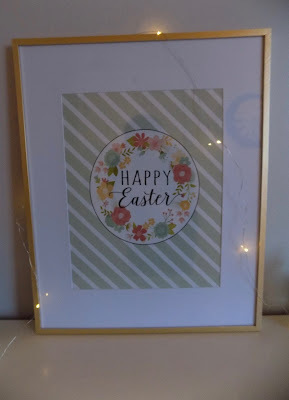 The pastel eggs match the pastel colors in the print perfectly. 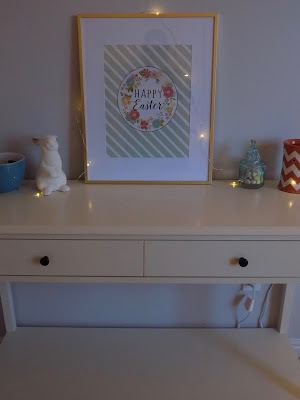 I draped some fairy lights around the pieces and over the frame. I love the look of fairy lights. They add the perfect touch of magic. How do you decorate for Easter and spring?